Mother’s Day is this weekend! As it draws closer, I got to thinking about how people often refer to moms as superheroes. Though as I searched the web, I found only a few examples of Mother’s Day projects for kids to make that honor “superhero moms”. Finding a project with flowers and hearts is simple. 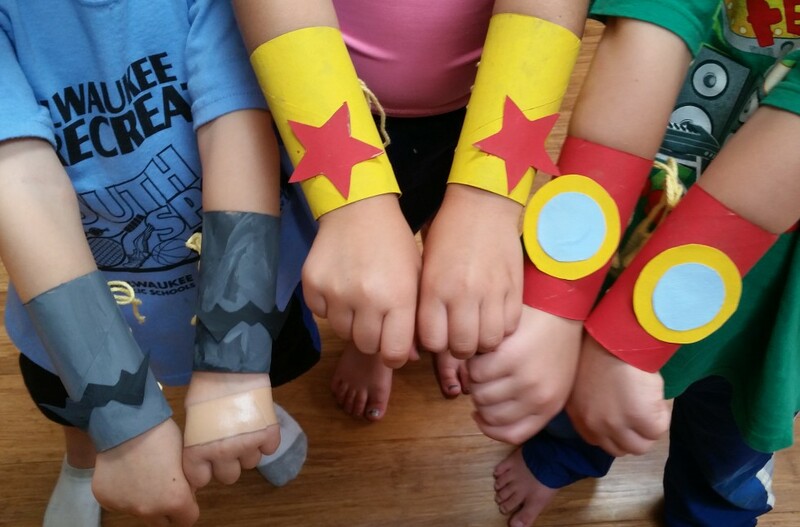 Though superhero themed projects for moms are not so easy to find. Found many superhero dad projects; just not much for moms. So why is this the case when moms are called superheroes so often? Us geek moms like superhero stuff too! Well, I searched and found a few options that are sure to make a superhero momma smile. Found these card inspiration ideas on the Teachers Pay Teachers website. One card folds like a typical card and the other is a flat-front style. With some construction paper, scissors, google eyes, glue, and markers, kids can craft a heroic card for mom. My daughter made a teacher version of this craft for her teachers last year, and it was a huge hit. I Heart Crafty Things has created a sweet treat worthy of a superhero mom. Saw these adorable Superhero Shadow boxes on Amazon.uk and fell in love with them. Unfortunately these handmade boxes are not currently being shipped stateside. Though a run to the craft store for a shadow box, letter tiles, and a few other supplies, a hero-themed box could be created in an afternoon. The superhero included doesn’t have to be a LEGO figure. Any small action figure will work. Once arranged and things glued into place, kids will have a heartfelt gift that may bring a tear to even the toughest superhero mom’s eye. No time to make something? Then check out these superhero Mother’s Day cards I found at Target.